The ferromagnetism associated with ruthenium also required that the element was present in thin nanometric layers. This echoes an earlier report of the successful induction of ferromagnetism in thin-layer platinum. Unlike this experiment though, the ruthenium did not require a custom-made cation solution to evince magnetic abilities in the presence of a magnetic field. Instead, the team behind the Nature Communications paper worked on a way to make the element’s atoms assume a structure that has, theoretically, been associated with ferromagnetism in the past. This conformation is essentially ruthenium in a tetragon, and also in a specific phase relative to a substrate. 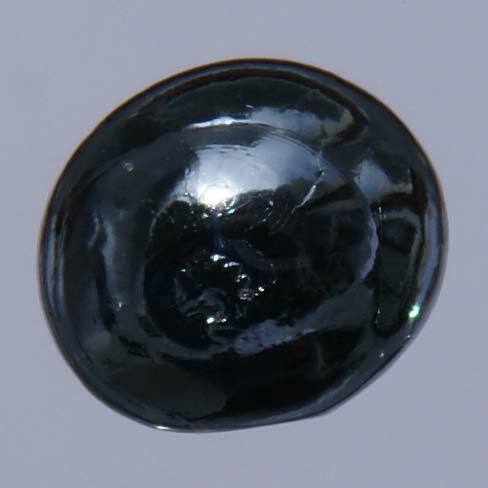 Ruthenium is one of the elements, along with osmium and possibly iridium, that are related with ferromagnetism, in theory. However, this property is only thought to be possible if the elements in question can be made to form tetragonal matrices on an atomic scale. This conformation would confer sizeable perpendicular magnetocrystalline anisotropy (MCA), a form of energy required for magnetism, on the element. Needless to say, this has proven to be incredibly difficult. The main example of tetragonal Ru production was confirmed in 1997 by Kazuo Shiiki and Okitoshi Hio of Keio University in Japan. But these scientists never measured the magnetism (if any) in their new material. A team of researchers set out to replicate their work and also to detect ferromagnetism in the resulting Ru tetragons. 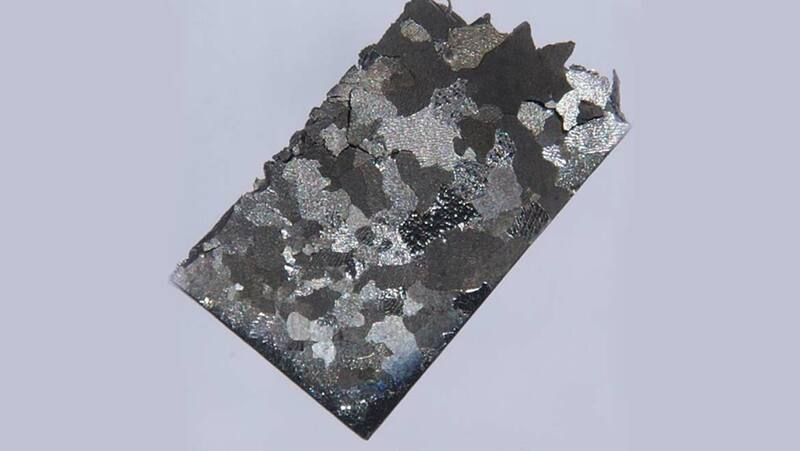 This substrate, made of molybdenum (Mo) in a specific phase of its own, backed by aluminum oxide in a specific relative phase of its own, caused the ruthenium to form the tetragon. These events led to quantifiable ferromagnetism in the tetragons. These tetragons also needed to be present in thin films (i.e., of up to 12nm in thickness) to produce ferromagnetism, as with the Pt ferromagnets. The researchers, who completed this study at the universities of Wisconsin and Minnesota, reported that the magnetism recorded tended to decrease with tetragonal-Ru layer thickness. This observation is in line with other studies on ferromagnetism in other materials and may also have been due to the fact that the Ru in thicker layers had the ability to retain the tetragonal structure. Theoretical models of ferromagnetism in tetragonal Ru has led to the conclusion that the magnetic flux within this material could reach saturations of about 400 emu/cm^3 (a measure of magnetic intensity). However, the maximal figure for this variable in the study was reported as being 160 emu/cm^3 at temperatures of 10 Kelvin (K). There are a few viable explanations for this, including the contamination with non-tetragonal Ru. But when the Hall characteristics of the material (e.g., the ordinary and anomalous Hall resistances) were calculated, there were indications that Ru was capable of achieving the theoretical saturation value in an ideal conformation. On the other hand, these calculations do not take the actual magnitude of magnetization into account. The highest values of magnetic intensity were observed in layers of tetragonal Ru of 2.5nm in thickness. However, this figure did drop to 148 emu/cm^3 at 300k. The overall average maximal intensity in films of 2.5nm and 6nm (the only two layers produced to have the same magnetic intensity at room temperature) was 141 emu/cm^3. The ferromagnetism in the tetragonal Ru was also able to withstand a separate magnetic field with a strength of approximately 130 oersted (Oe). These measurements were taken using vibrating sample magnetometry (VSM). On the other hand, it was possible that this magnetism could have been wrongly attributed to the Ru layers when in fact it could have come from other materials (e.g., the Mo, or aluminum oxide substrates). To eliminate the possibility, the researchers also repeated their VSM protocols in the presence of the substrates in the sample holder, and of the sample holder alone. They reported that the substrates did not exhibit ferromagnetism and that the holder was associated with negligible para-magnetism. Therefore, it is most likely that the ferromagnetism observed in this experiment was associated with tetragonal Ru. This study may have confirmed the presence of ferromagnetism in tetragonal Ru, the existence of which is supported by other materials in differing levels of phase and texture. This relatively novel material is not very stable in large amounts, but it also appears that its ferromagnetism is roughly proportional to thickness. The discovery of ferromagnetism in Ru may be a considerable boon to electronic and material engineers – assuming that it can be validated and replicated in further tests. The discovery may also indicate a potential for the future possibility of converting other elements, like osmium, into tetragonal shapes to check for ferromagnetism in these conformations. P. Quarterman, et al. (2018) Demonstration of Ru as the 4th ferromagnetic element at room temperature. Nature Communications. 9:(1). pp.2058. S. Kazuo, et al. (1997) Formation of a New Phase in Ru Films by Sputtering Based on Band Calculation Prediction. Japanese Journal of Applied Physics. 36:(12R). pp.7360.